I heard someone ask a man once how he was (I could've sworn it was my grandfather, but Mom says I am wrong... Anyway...), and he said, "I can't complain." Then added, smiling, "Well, I could, but it wouldn't get me anywhere..."
So if I've whined or complained to you lately, thanks for listening. Sometimes I just need to vent. 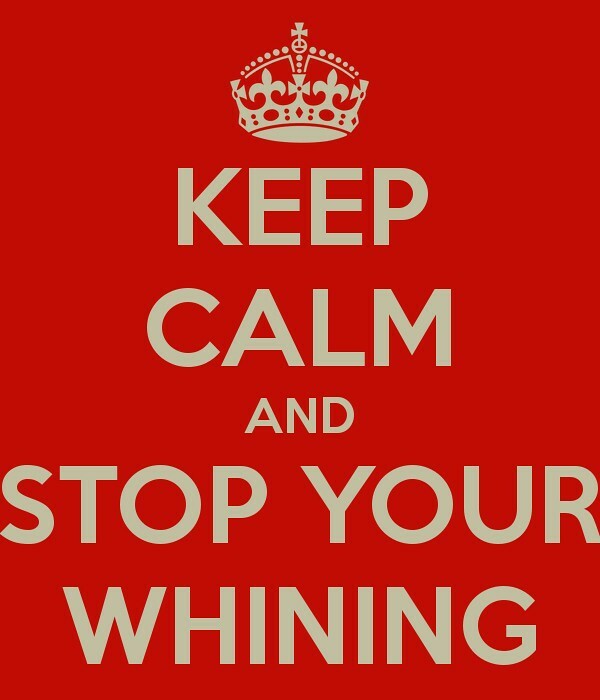 And if I've whined or complained to you lately, I'm sorry. I could make excuses about how I had to deal with a pretty big issue in my personal life, and work has been very stressful this year (but then again, if I have been whining to you, you probably already know that).